Having a protagonist be the last human being alive after some kind of catastrophe is a well used science fiction trope. From I am Legend to The Quiet Earth to WALL-E, it’s a story and character that we’ve seen many times, but we’ve never seen one quite like Will Forte’s Phil Miller in Fox’s upcoming The Last Man on Earth. It’s always someone looking for answers, searching for other survivors, but what if the last human being was just some slobby dude looking to amuse himself? This is exactly what the show envisions, and the network released this new trailer. One of the perks of being the last person left alive, other than not having to talk to anyone or ever wait in a line again, is that you automatically become the best at everything. Phil’s now the greatest athlete alive, the handsomest, the handiest, and the smartest, as illustrated by the brilliant idea of filling up a kiddie pool with booze (we’ve all wanted to do that). Free as he is, he can do whatever he wants, like collect all the best stuff, hit on mannequins, and crash cars into each other to watch them go boom. Though we see some of the various ways Phil keeps himself entertained—you have to imagine there are even more that we haven’t seen yet—we don’t know much else. Set in the year 2022, we don’t really know why Phil is the last man on Earth. The reason there are no people around, not to mention a conspicuous lack of corpses, has been kept under wraps. Maybe that will turn out to be the key mystery of the show, like Phil just woke up one morning and no one was around. We’ll have to wait and see, but it makes us curious. Check out even more hijinks in this longer trailer from back in May. This reteams Forte with his Lego Movie directors Phil Lord and Chris Miller, who are executive producing and directing the first episode. From what we’ve seen, this definitely looks like Forte doing the big comedy he is most known for rather than what you saw him do as a dramatic lead in Nebraska. The combination of these three, with their own warped sense of humor, makes The Last Man on Earth even more promising. 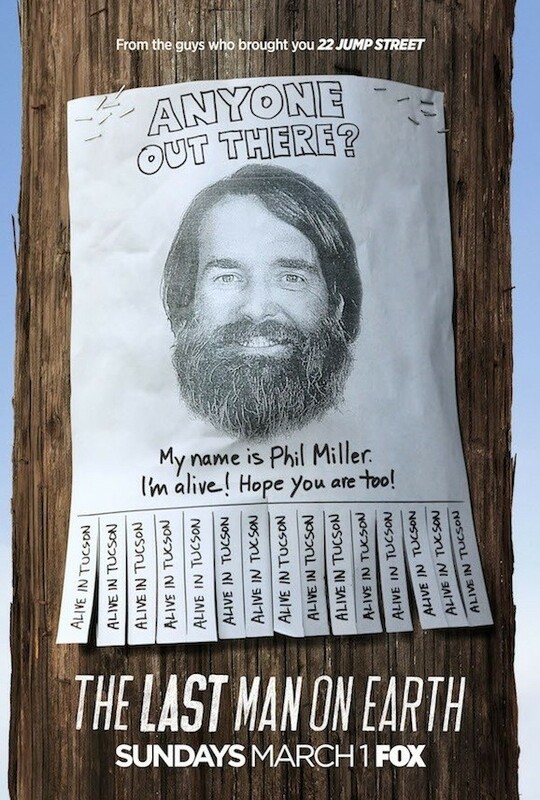 Though Phil may be the last man on Earth, he’s not going to be entirely alone. At some point, and in some capacity, he’ll be joined by the likes of Kristen Schaal (30 Rock), January Jones (X-Men: First Class), Mel Rodriguez (Enlisted), and Cleopatra Coleman (Step Up: Revolution). We’ve been talking about this for a while, though we haven’t heard anything since the middle of last year, but The Last Man on Earth finally debuts with back-to-back episodes on Sunday, March 1.